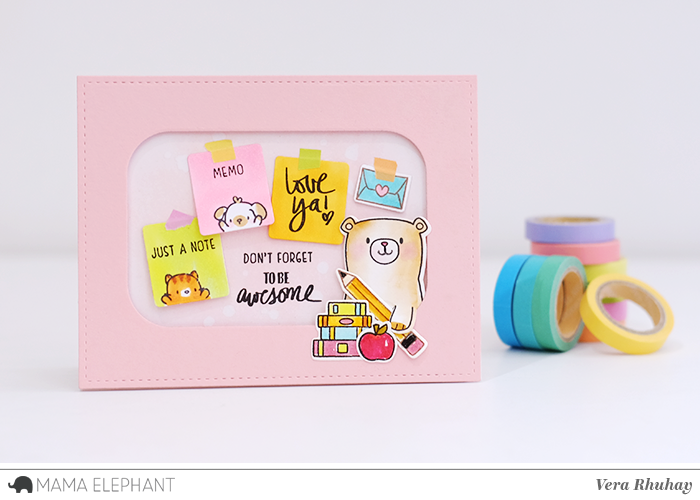 Today is Day 3 of Stamp Highlights and as how Laura Bassen would say it, these cutie patooties are popping up everywhere with these Sticky Notes! We love Anna's motivational card - today we will be amazing! Reminder that it's your awesome friend's birthday! 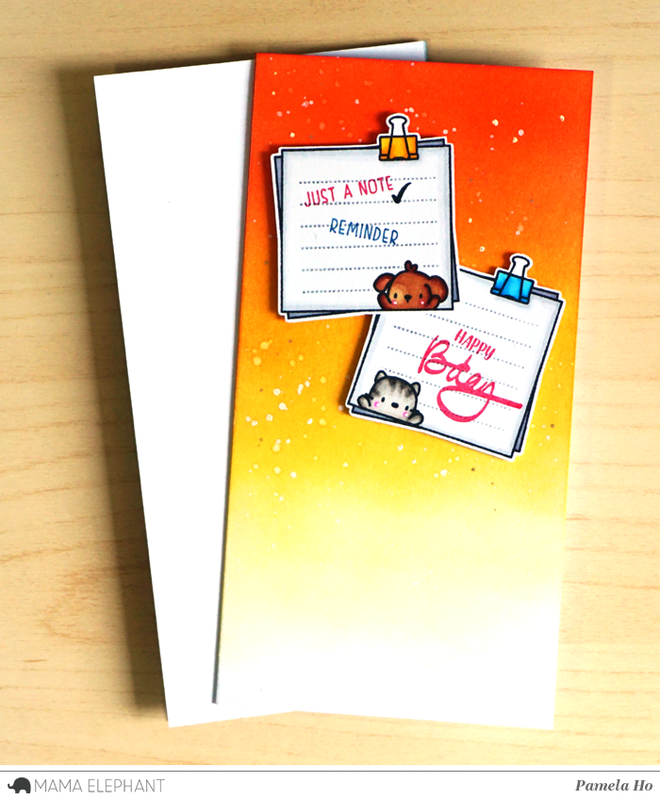 Use these cuties to remind yourself the big days and use them on the card to celebrate! 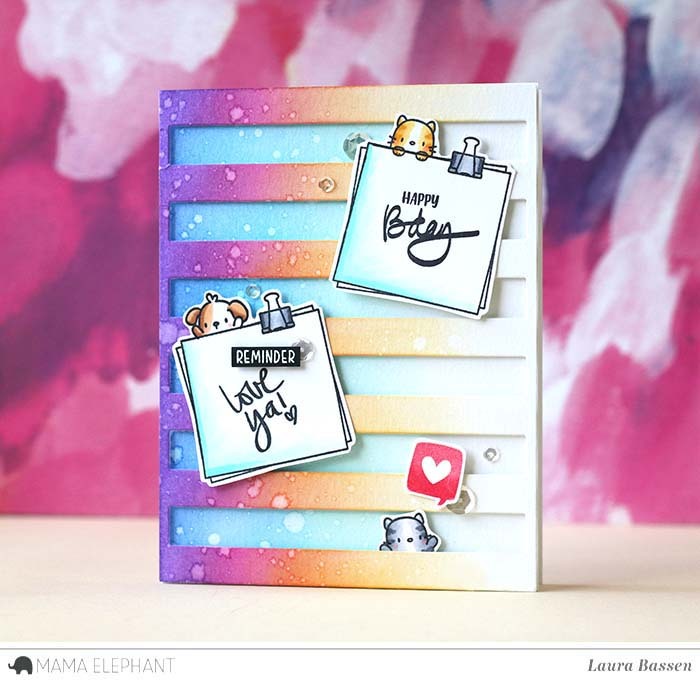 Laura used the Classic Stripe Cover die for the background on her fun card. These reminder note cards by Amy are the sweetest! 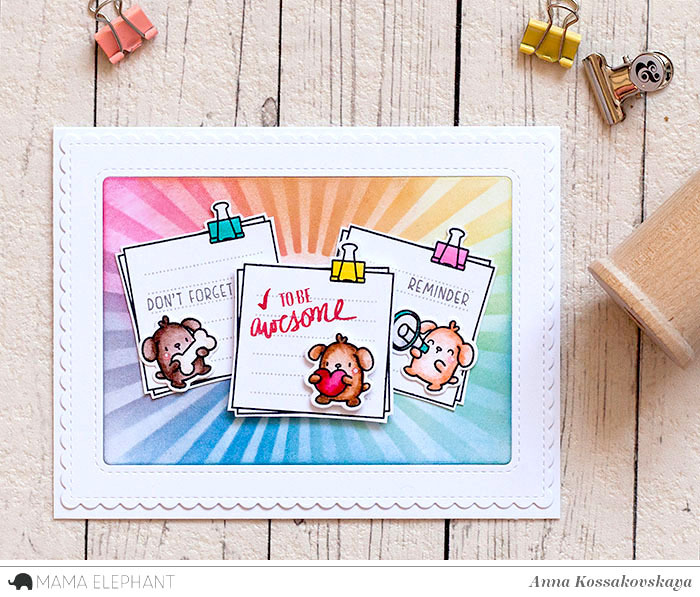 We are swooning over Amy's planner that is decked out with Mama Elephant! That's all for today! Please come back on Monday for our final stamp highlight with Little Dog Agenda! Ohhhhh these new stamps are just tooooo cute and precious! Very adorable!! Love them! What stamp did you use for the hello, mail, lunch, craft? Block party? Thanks!! Wonderful samples! I love the Sticky Notes set!!! Love, love, LOVE this set!!!! So adorable. This is a lovely set! Great inspiration from the DT! Oh my goodness these are all so fantastic. 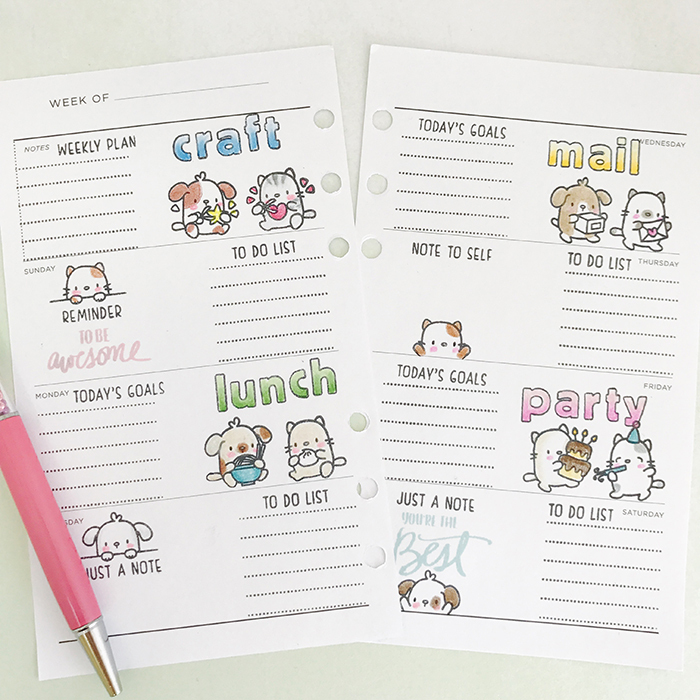 Love the Sticky Notes and these little cats and dogs are way too cute! Great work ladies! These are simply adorable! Thst set is just too cute, great job everyone! Thanks for the inspiration! The talent these ladies have!!! Some times I open up a blog post such as this and the first thing I think is "You've got to be kidding me!!!!!!!! HOW DO THEY DO IT!!!!!!!???!!!"